Aromatic nose filled with floral notes, with a bright and crisp finish. Popular wine when hosting large groups. Sweet blush wine produced from the Stueben grape. 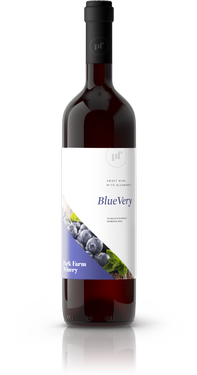 Sweet blueberry flavors and aromas. Made in a style reminencent of homemade wine. A tart rhubarb wine made with rhubarb from our neighbors down the road, the Koerperichs. Made with a splash of cranberry for the perfect balance and stunning color. Try it over a scoop of vanilla ice cream for a treat that tastes like pie a la mode. 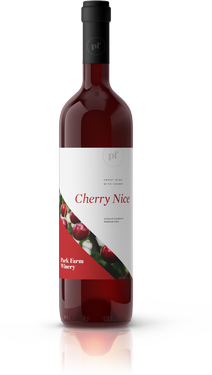 Bright cherry flavors and aromas make this wine just like biting into a fresh, tart cherry. Serve in a wine glass with chocolate syrup around the rim for a nice after dinner drink. 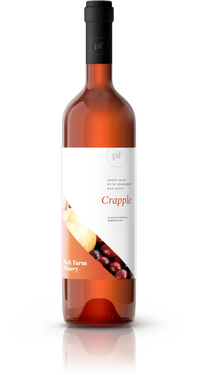 Crisp apple wine produced with Czipar's Apples from Dubuque, Iowa has a subtle sweetness. Delicious warmed with cinnamon sticks or mulling spices, a peeled orange & splash of cranberry juice. A mix of our Cranucopia and Applecadabra wines. 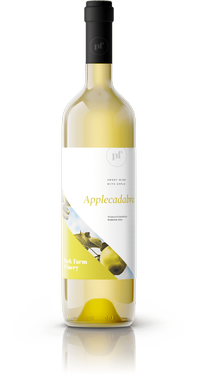 Light cranberry notes adds brightness and depth to this crisp apple wine.